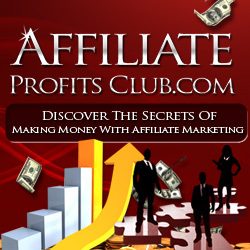 You are here: Home / Make Money Online / Are Affiliate Marketing Articles Still Effective? When Google clamped down on article directories, everyone panicked because their own affiliate marketing articles were suddenly tanking in the search engine rankings. But some of those sites have begun to rebuild. There are still some effective ways to utilize article marketing in your affiliate strategy, but the outdated method of thinking you can whip up a 300-word short description with a link back to your site and rank well are long gone. Create share-worthy articles. Articles shouldn’t just be flimsy teasers. They should satisfy the reader enough that they want to share the content with someone else, or bookmark it because it’s so good. Increase the volume of articles you release. You may not rank really well with 5 articles, but increasing the amount of content you place online can help boost traffic to your affiliate website. Consider press releases in addition to typical articles. A press release is an article that’s designed like a story for a print newspaper. It typically is fact-based, and includes one or two quotes from sources (one of which could be you as the expert). You can launch a press release all over the ‘net for free or using a paid PR service. Start by answering who, what, when, where, why and how and then expand on the information you’re sharing by quoting yourself. Make sure you include a link to your domain. Some people prefer to put their articles on their own sites. This could be known as blogging (or you could put them as static pages). Owning your own content certainly helps search engines view your domain as an authority figure. Place your articles in other marketers’ newsletters. There are many ezine owners who accept and cultivate articles for their niche. They’re happy to provide you with a link to your domain in exchange for the content you provide. There are dozens of ezine directories you can use to find one in your niche. Make sure you follow the rules and guidelines for what the owner wants and then polish your submission before sending it over for possible inclusion. Consider the traditional offline article route with trade magazines. Pick up a Writer’s Market for the current year and look toward the back of the book. In it, they have thousands of trade magazines with the editorial contact information and submission guidelines included. You can submit an article and reach a highly targeted audience who appreciates your expertise. Some of the magazines will pay for the article, while others don’t pay, or pay in copies instead of cash.